Setting up the Modular IoT Gateway to connect and control multiple end devices from a mobile application is simple and secure. 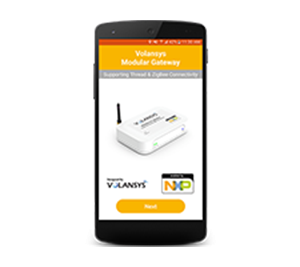 Kindly follow instructions to instantly connect IoT enabled end devices based on different RF connectivity using Gateway mobile application. Follow below-mentioned steps to connect Modular IoT Gateway Kit for multiple locations to a single mobile application and control multiple end devices at the same time. Modular IoT Gateway controls smart appliances directly from its mobile application. It optimizes operations, manages assets and completely transforms the customer experience. Available for both Android and iOS platforms. Get it from here just with a click. A user needs to register the Gateway using a mobile application to control and monitor end devices via Gateway. To register the Gateway, follow below steps. 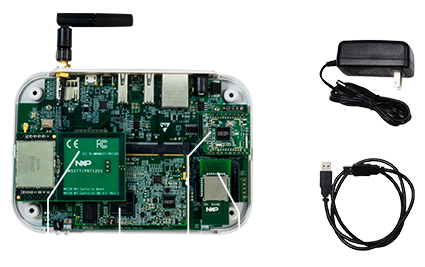 The Gateway can be commissioned either using NFC commissioning or BLE commissioning (only for Wi-Fi commission). Please find the currently recommended software or firmware versions in setup prerequisites section. For end device, OTA firmware upgrade, the end device must be commissioned with the Gateway and it must be online. Follow end device commissioning section to commission end device. There are two modes supported for the end device OTA update. To start the OTA update for a specific end node, select an end node which is commissioned with the Gateway and is currently online. 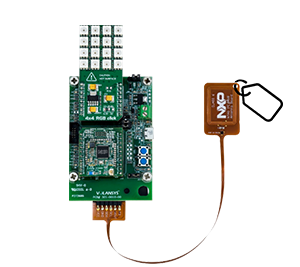 Note: The MENP end node will accept the OTA image with the different firmware version than the current version. Select Thread or Zigbee® end node to start the Mass OTA. The type of selection will depend on the end devices available in the Gateway. If there is only a Thread or Zigbee® end node available then the application will display only those types of selection. The application will check for end device OTA status. The Modular Gateway needs to be using the OTA enabled SD card Image. Note: Please make sure that the Modular Gateway board has a stable power supply during OTA update process. Please follow the steps below to start and monitor OTA updates in the mobile application. Once the update has completed successfully, the device will reboot after 10 seconds. On reboot, it will boot from the new image that was downloaded. The Modular Gateway will notify the mobile application on successful boot. In certain circumstances, a device that needs to be removed is no longer available or is offline. To remove a node that is offline, follow the steps below.